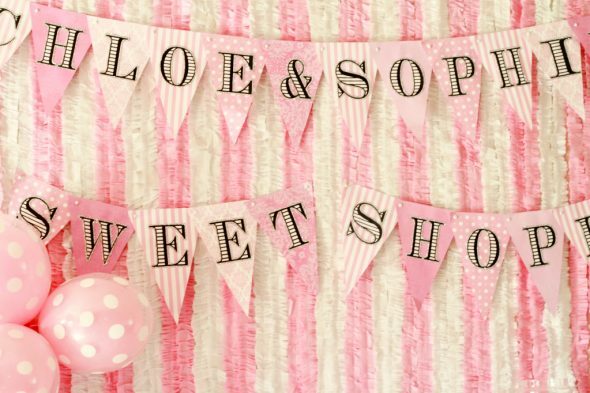 The stuff of dreams – that’s what this Sweet Shoppe Birthday Party was made of. 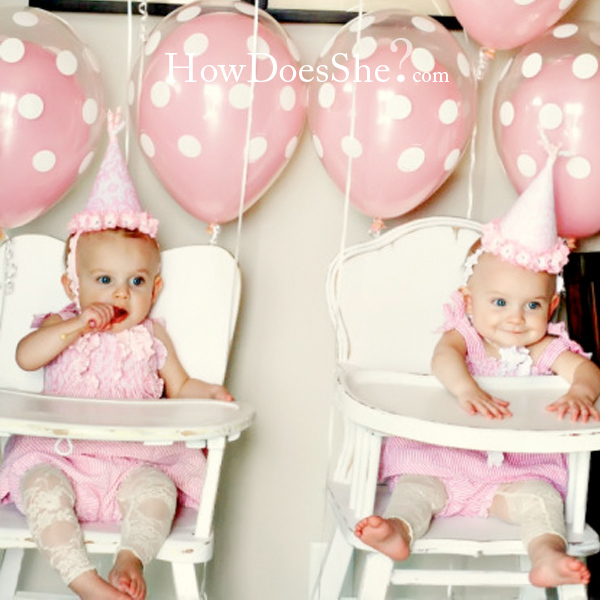 Shelley of How Does She threw the most adorable party for her twin daughters’, Chloe and Sophi’s, first birthday. 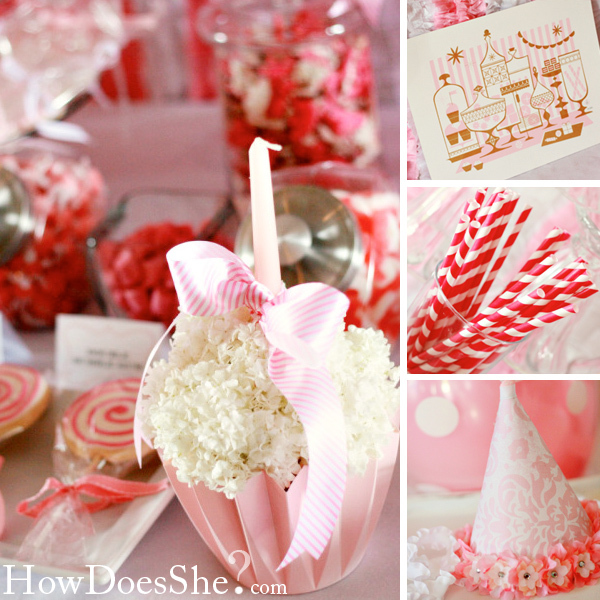 A pink sweet table with this cupcake centerpiece and all sorts of treats! 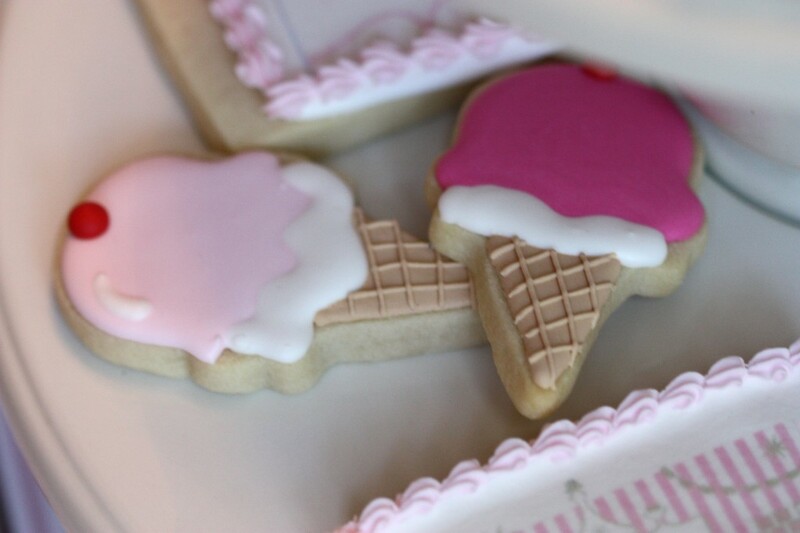 An ice cream buffet, cute party printables and more! 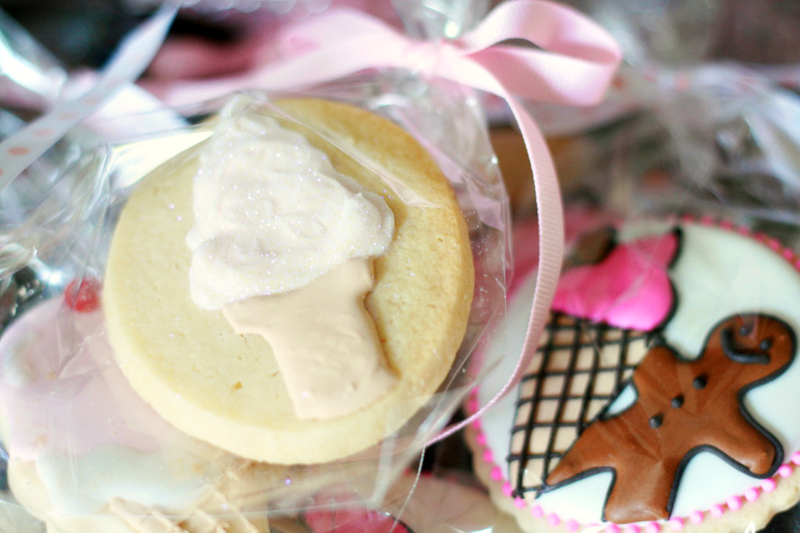 Click here if you’d like to see all the party pics and check out her fantastic ‘how to’ site. Shelley and I traded skills for the party; I ended up making the cookies. 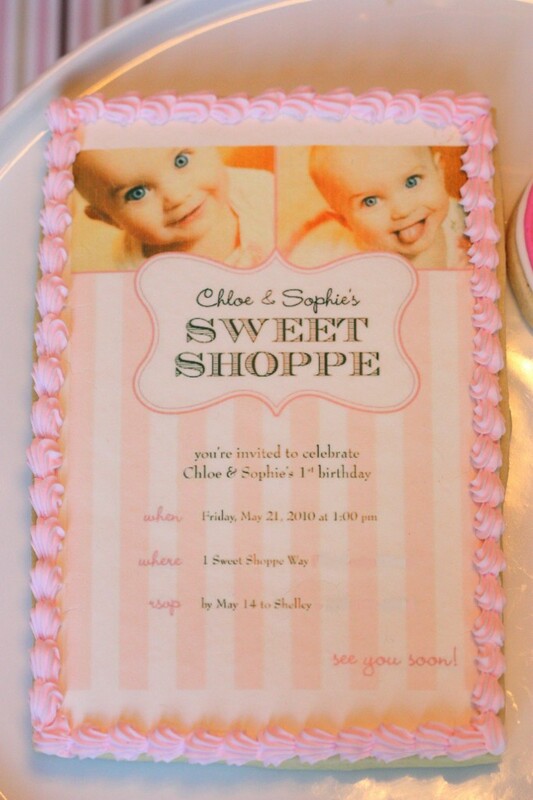 This is the party invitation printed onto rice paper with edible ink. 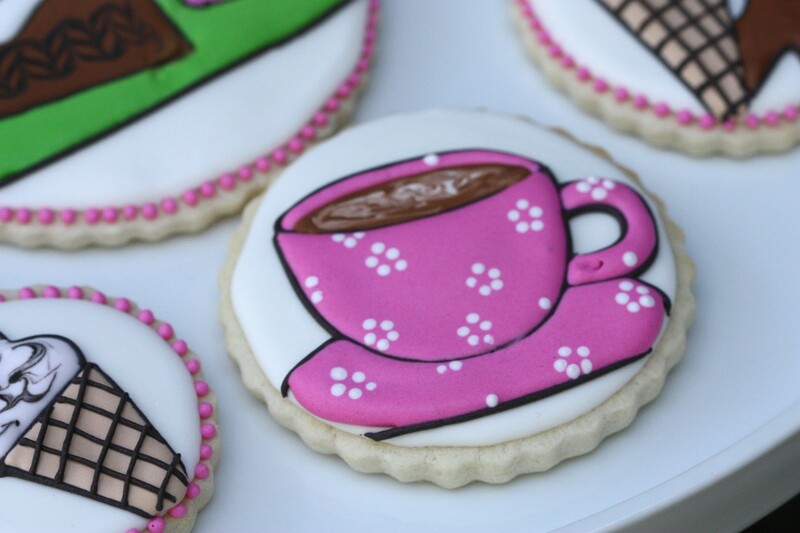 For a quick tutorial on putting edible ink images on cookies, click here. 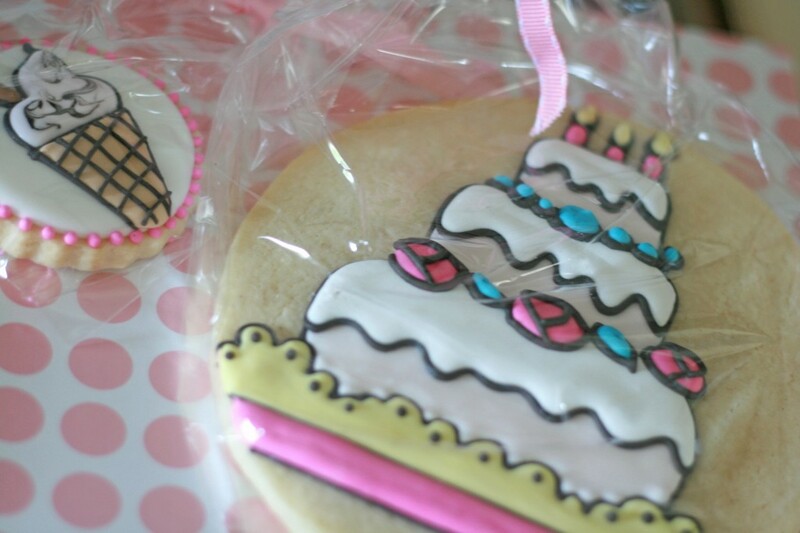 I use a KopyKake projector to help me draw images on cookies. For more info. on the projector click here. A ‘how-to’ on creating the swirls in the coffee and ice cream (above), can be found here. I do have to mention here that I don’t actually do orders – there just isn’t enough time – this was an exception as Shelley and I decided to exchange our skills eons in advance. 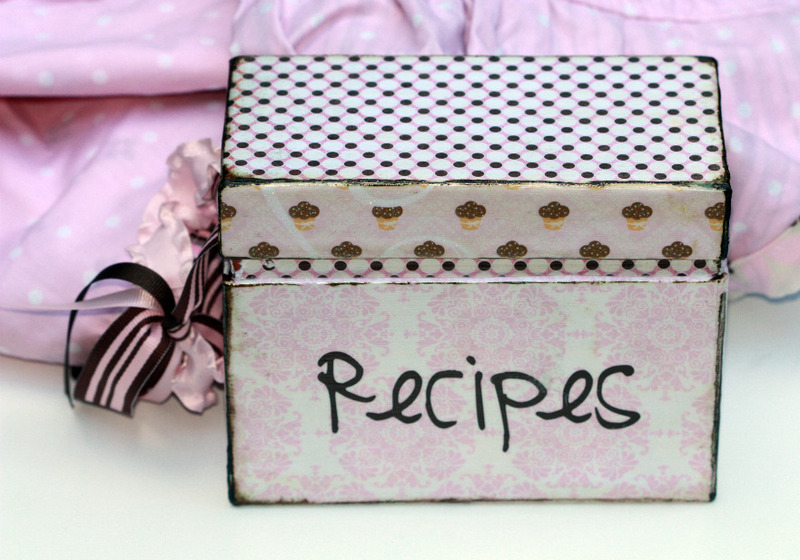 In return, Shelley made me an adorable apron and recipe box. The apron is reversable! So cute! Everything looked so beautiful! 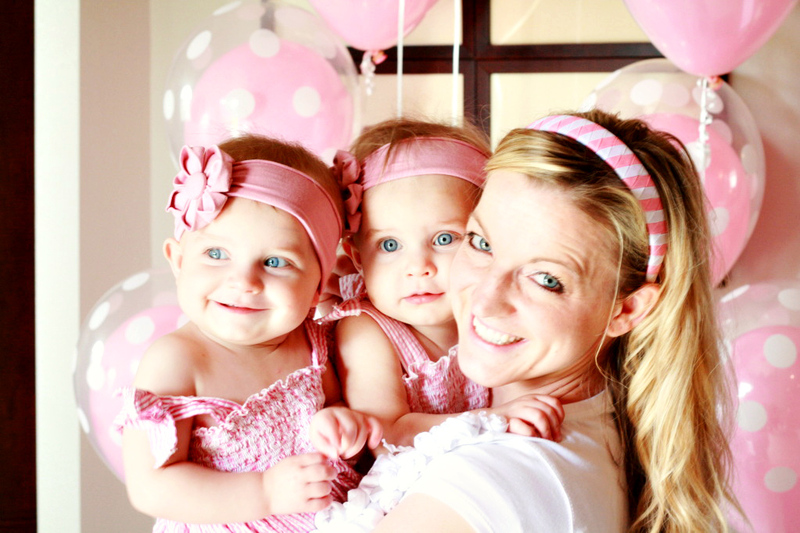 And what an ADORABLE photo of Shelley and her daughters! what an adorable party! 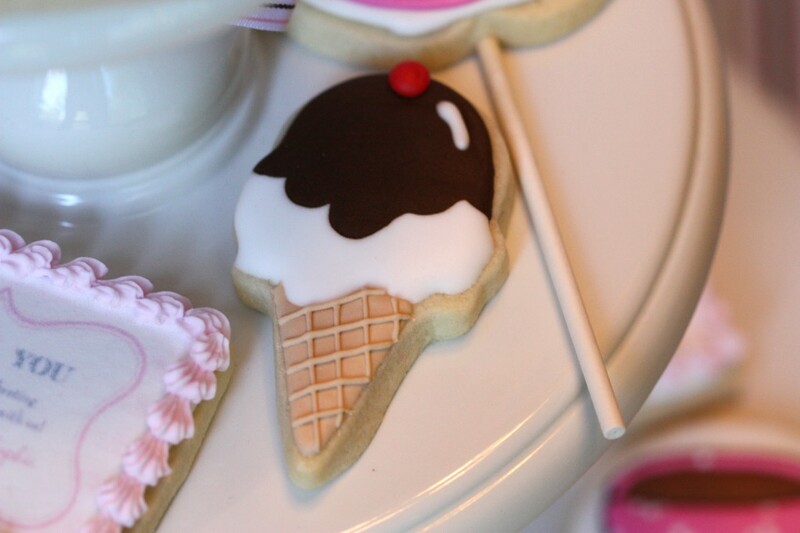 the cutest ice cream cones cookies i have ever seen! thank you for sharing! 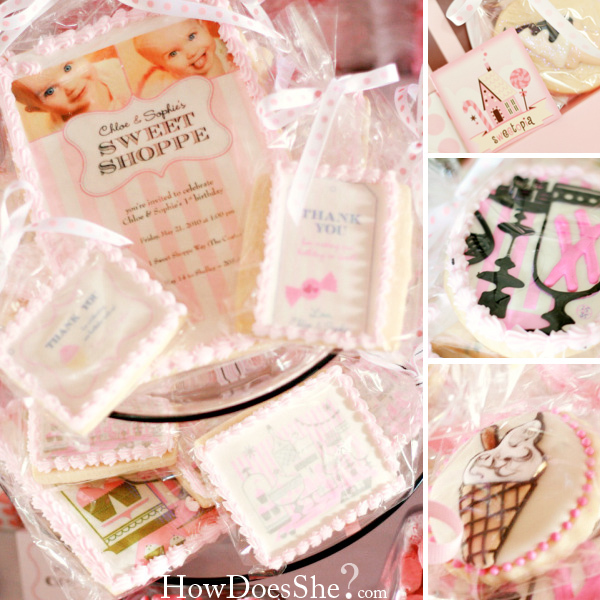 OMG, those are the cutest cookies I have ever seen as well as the cutest birthday party I could imagine! You two make a great party planning pair 🙂 Your talent is insane, awesome job! Precious from start to finish. 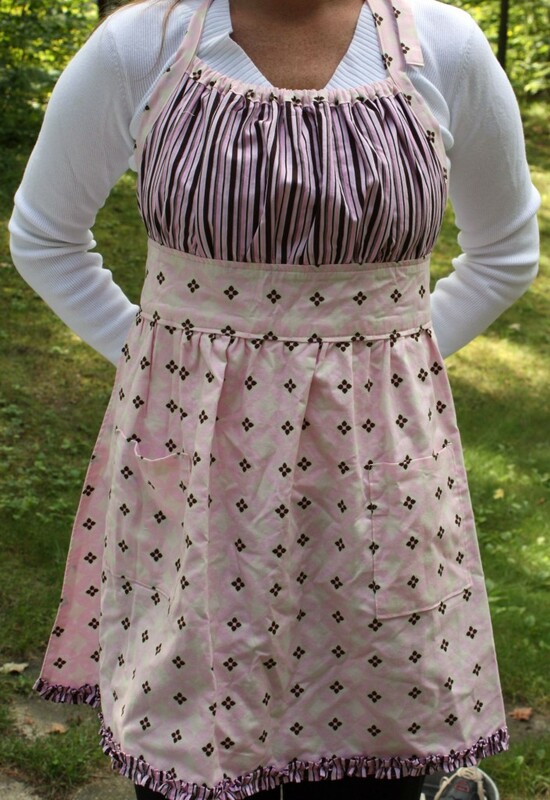 I love the apron too! 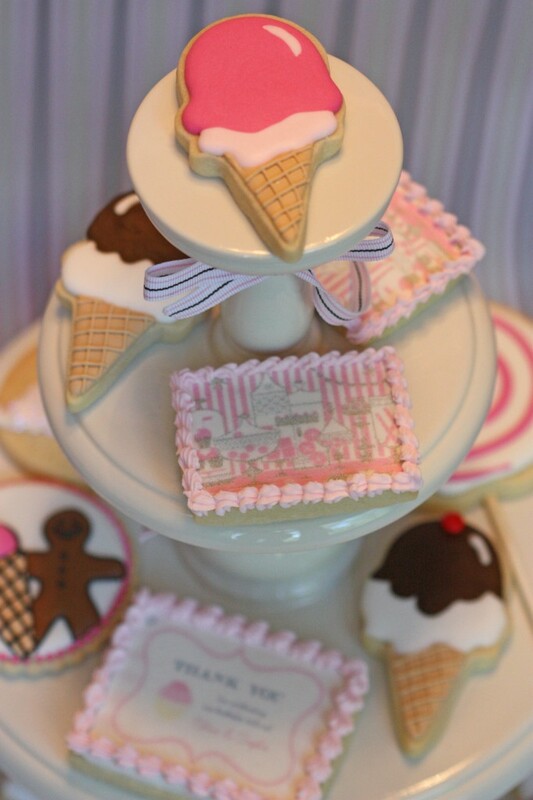 you are so talented & creative…LOVE your cookies!! This is pure, perfect cuteness. The very definition! Gorgeous! 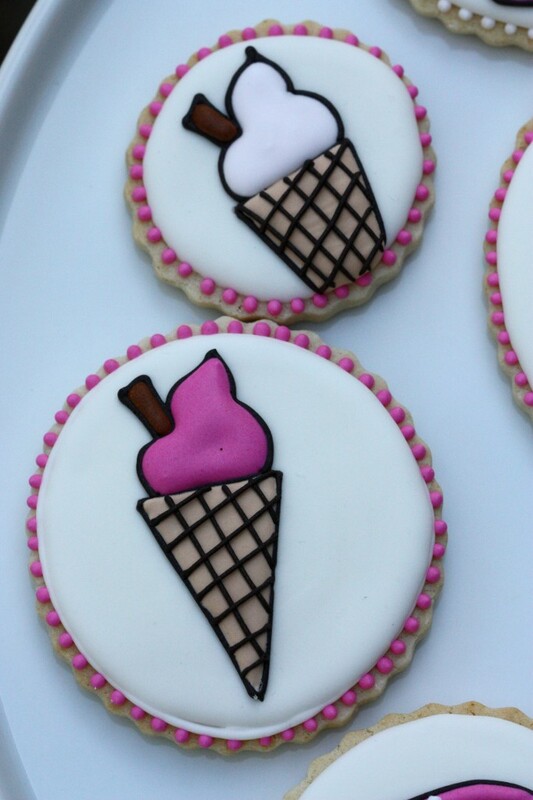 Lovin’ the ice cream cones. 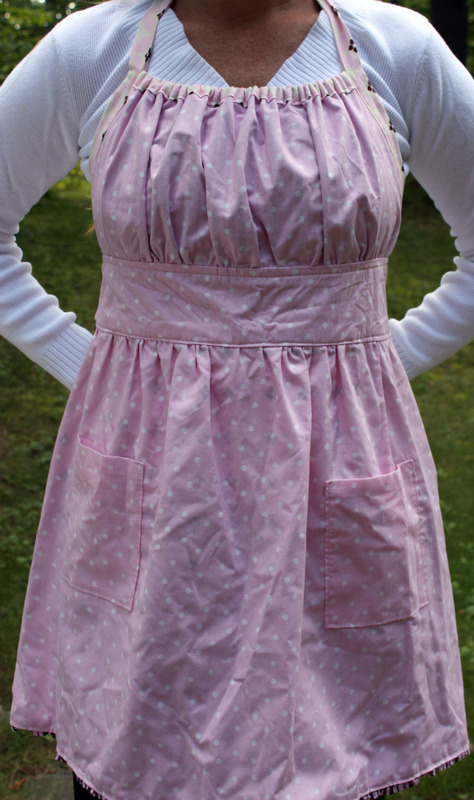 Also, that apron is so, so pretty. 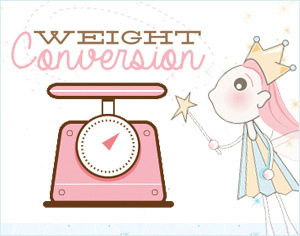 You must feel like a princess when you wear it! *faints* That is absolute cute overload! I can’t take it…that much cuteness in one post…sigh. Great job, Marian! 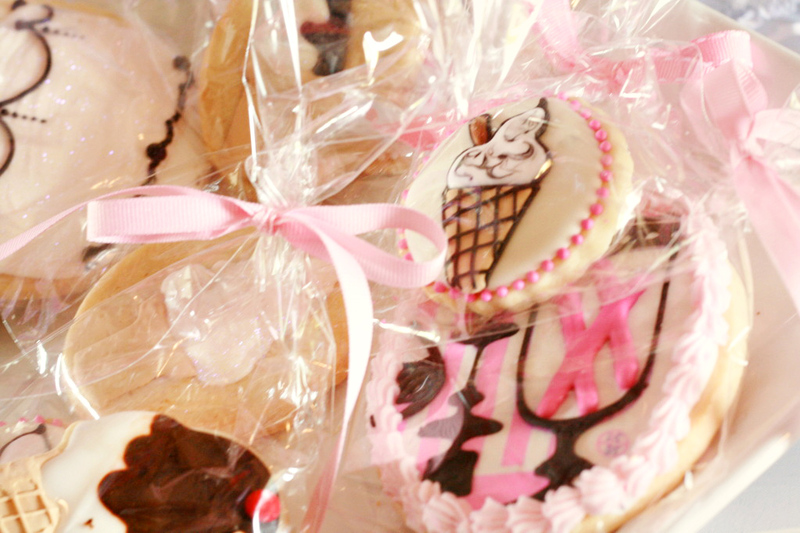 Your treats are perfection! Love, love, love, love, love…….You get the idea! 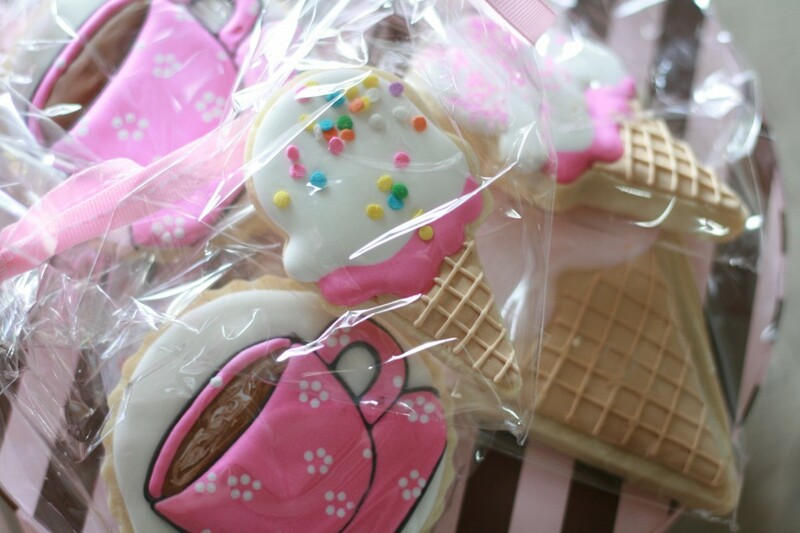 Such cute cookies. 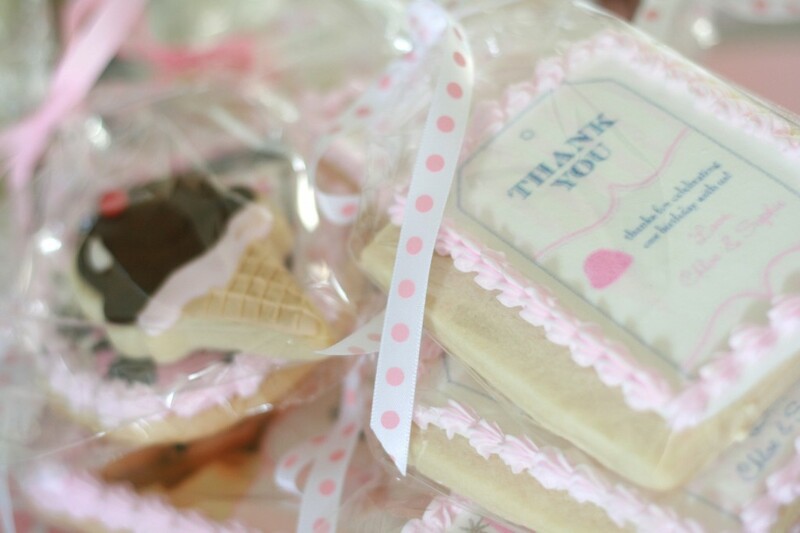 It makes me want to go bake something. 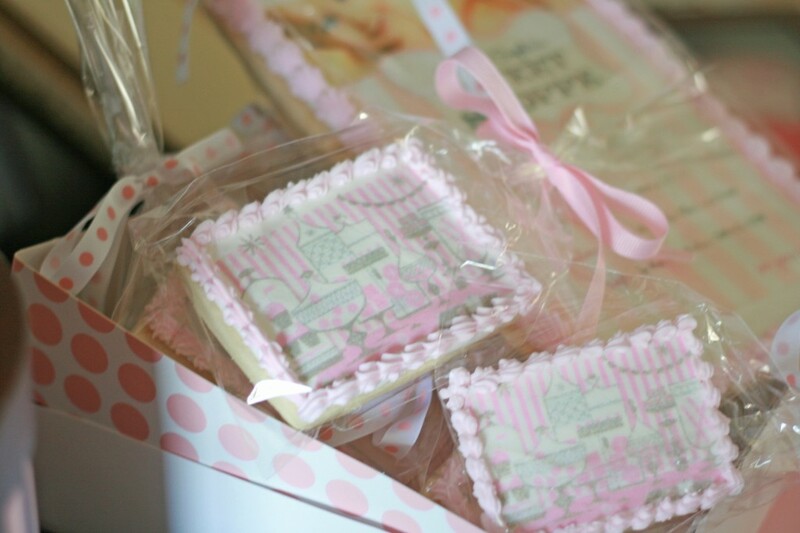 This party was too cute and the cookies were gorgeous (as Always!). And THANK YOU for giving information on the Kopycake projector – you have answered a lot of questions for me! you rock! Wow, what a precious party! Everything is done to the 9’s! I love it!!! 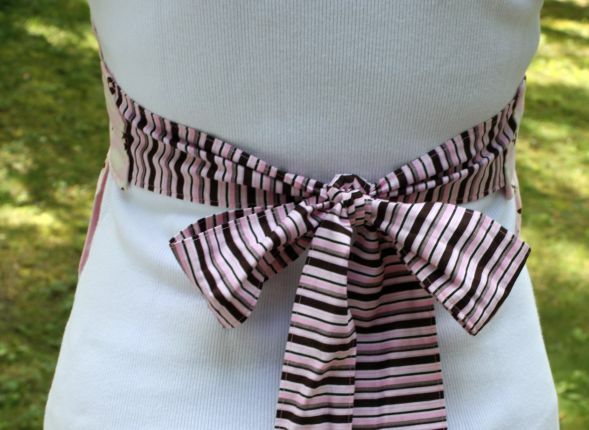 Your new apron is adorable as well!!! Would love to hear how they turn out when they’re thawed some day! This is just BEAUTIFUL!! everything look perfect…I looooove it! 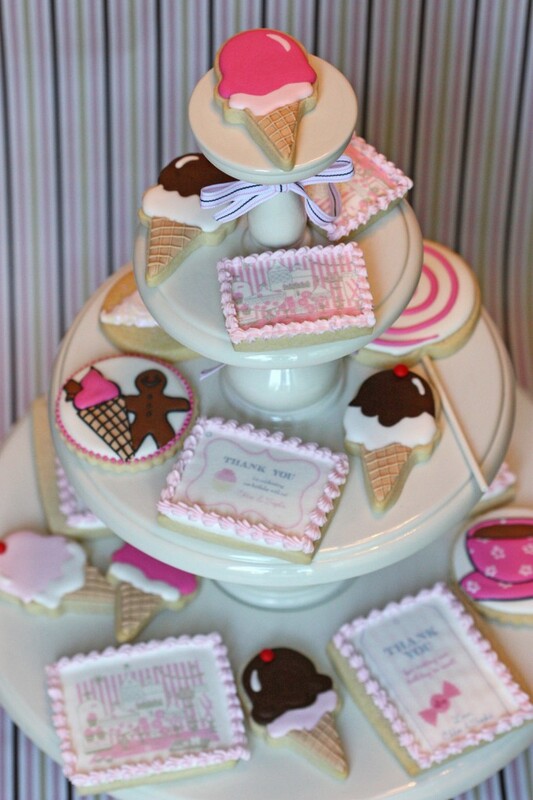 cutest theme ive seen in a long time, divine cookies! This is just absolutely adorable! I am in live with your website!! 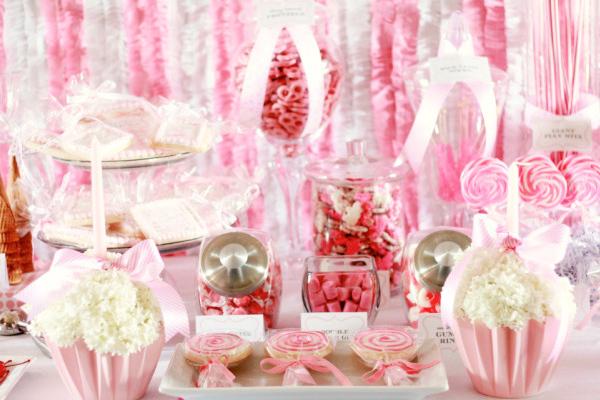 As a little girl, I was obsessed with all things pink and I would have died if I had seen this! EVERYTHING is so precious down to the smallest detail. Amazing. Can you buy online? Or is it only instore? Can I ask how much it is? Want to know if it’s worth the drive to Barrie. 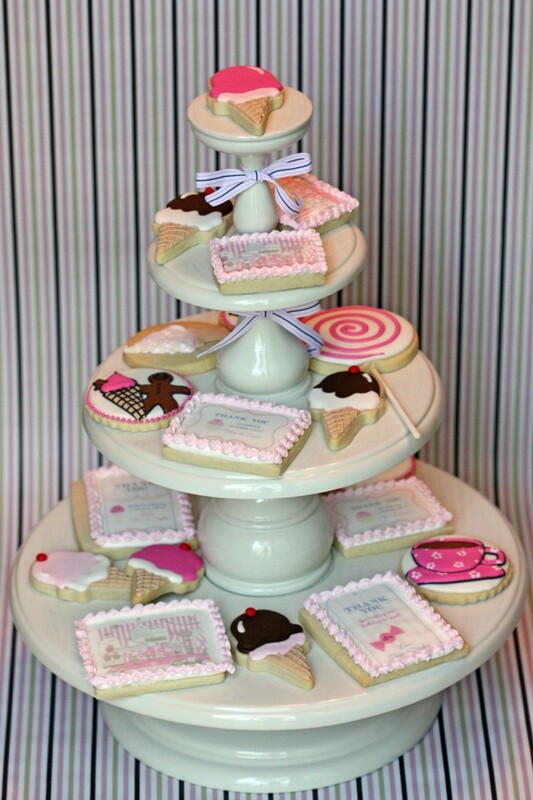 HI @ Tiffany: As far as I know they don’t have it in stock any more =( (I posted this almost 2 years ago), but they do have other cool cake stands. Maybe call and see if they have their selection on line? Good luck! 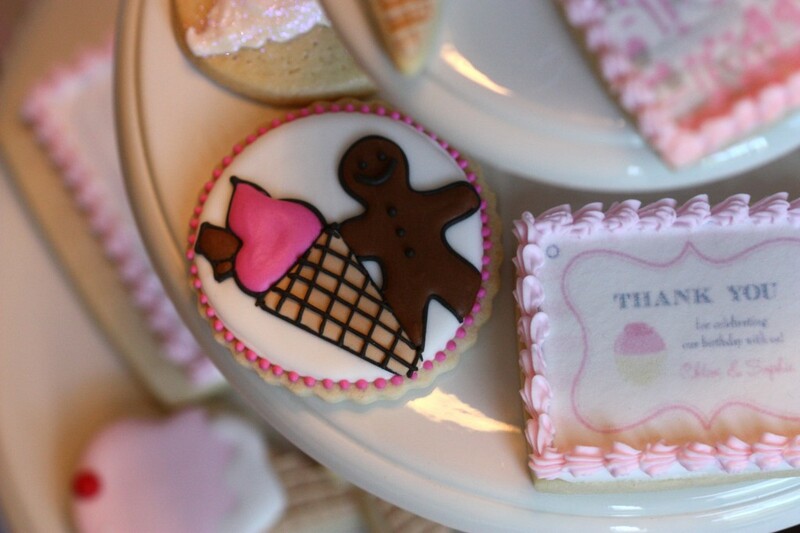 P.S Just have to say because of you I now make awesome sugar cookies, so big thanks!! Been following your blog almost since the beginning! Hi @ Tiffany, thanks for following me here. 🙂 A good friend of mine lives in Burlington, and it is a bit of a drive. I’m sure you’ve been to Golda’s in Mississauga already, but if you haven’t… oh boy, you’re in for some fun if you go! (They don’t have a lot of cake stand selection, but they do have amazing baking supplies). Have fun decorating and hope to see you around here!